Graffiti in Brisbane has increased significantly, with about 24,000 more tags appearing in the city from last year, bringing the past financial year's total to 83,334. Since the 2009-10 financial year the number of graffiti tags – the nicknames graffiti artists use to identify themselves – found and removed in the Brisbane City Council area had consistently declined year on year, from 139,891 tags in 2009-10 to 59,278 in 2015-16. The spike in the 2016-17 financial year broke this downward trend. 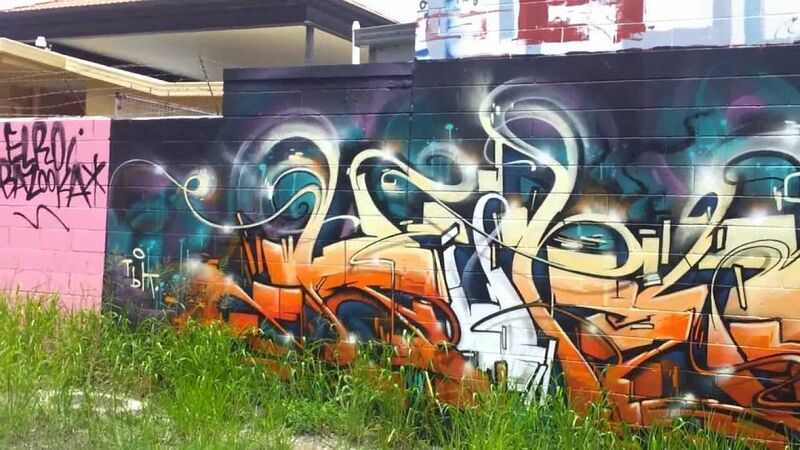 The graffiti data gathered by the council revealed for the past two years vandals were primarily targeting the inner-city suburbs of West End, the Brisbane CBD and South Brisbane. A high number of tags had also been found at Fortitude Valley, Fitzgibbon, Forest Lake, Woolloongabba and Greenslopes. The council invests more than $3 million a year in graffiti prevention and removal and in the past year reaped about $54,000 in court-ordered damages payments from prosecuted vandals. The 2017-18 Brisbane City Council budget handed down in June revealed the council allocated more than $500,000 over three financial years, starting in 2018-19, to review the graffiti intelligence system the council used. The funding would upgrade the software that catalogues and matches graffiti tags. Council lifestyle and community services chairman Matthew Bourke said 119 offenders were charged with 3774 graffiti charges in the past year. This equated to charges being laid for less than 5 per cent of the past financial year's tags. "We are putting graffiti vandals on notice: if you graffiti in Brisbane, you will be caught and charged," Cr Bourke said. "Council has 11 dedicated graffiti removal crews and has been actively monitoring more than 400 known graffiti hot spots across the city with covert CCTV cameras." The council received 2275 reports of graffiti in 2016-17 and 2144 reports in 2015-16. Griffith University law school lecturer and researcher Dr Karen Crawley published Beyond the War on Graffiti: The Right to Visual Expression in Urban Spaces in the Griffith Journal of Law and Human Dignity in 2015. Dr Crawley wrote that tagging, which originated in the US in the 1970s, had long been associated with dirt and crime, before the newer genre of illicit visual expression called street art emerged in the late 1990s.